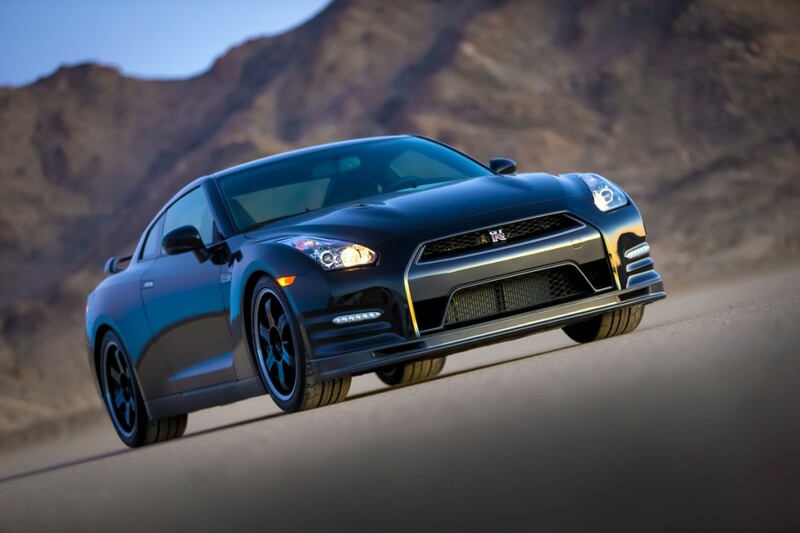 CHICAGO (Feb. 7, 2013) – The Nissan GT-R Track Edition is the third and most exclusive model in the 2014 GT-R lineup. Designed to take Nissan’s legendary 545-horsepower street supercar even closer to a pure motorsports competition machine, it features a specially tuned suspension, special brake cooling guides, front spoiler with carbon fiber air ducts and a lightweight quilted cloth mat where the rear seats usually reside. Nissan released information about the 2014 GT-R this week. The latest version of the sports car will feature a new two-seat Track Edition, a refined chassis, and new premium interior. The new Nissan GT-R will be available in three models – the GT-R Premium, the GT-R Black Edition, and the Track Edition. Powering the car is a 3.8-liter DOHC V6 engine that delivers 545 horsepower and 463 lb-ft of torque. The engine is paired with a dual clutch sequential 6-speed rear transaxle transmission with magnesium paddle shifters. The EPA-estimated fuel economy is 16 city and 23 highway mpg. Standard safety features include the Nissan Advanced Air Bag System, curtain side airbags, and three-point ELR/ALR rear seat belts. Two package options are available on the Premium trim level – the Cold Weather Package, which adds all-season tires and unique coolant/water ratio and the Premium Interior Package. Contact us at Rothrock Nissan for more information!